I feel that I need to briefly explain when these videos happen, and what’s going on with us at these points in time. They are filmed on our last day at Basel. They are filmed without an autocue (I know, unbelievable!). They are filmed with zero access to any illegal substances. And they ALL contain traces of intense fatigue thanks to the jet lag, the severity of which only Australians in Europe who started working straight off a plane can understand. That said, we’ve come to consider this a magic cocktail. Because, when Marcus says go, we are more ourselves than ever. And in this case, my watch choices are raw and real. There are two brilliant things about the Octo Finissimo Chronograph that should be lauded. 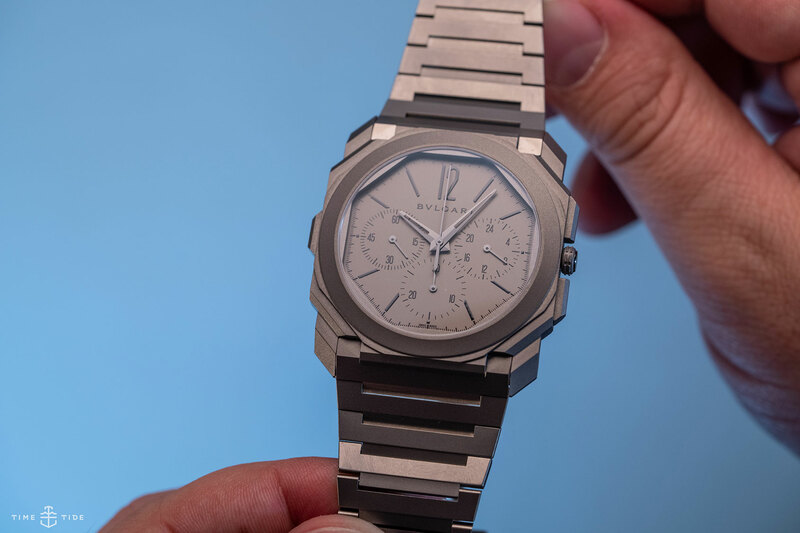 One, not only did Bulgari achieve the thinnest chronograph in the world with this watch, they did so with an extra complication and, in my opinion, the most useful – a second time zone. And two, they did so while maintaining the almost impossibly svelte on-wrist feel of the time-only original. 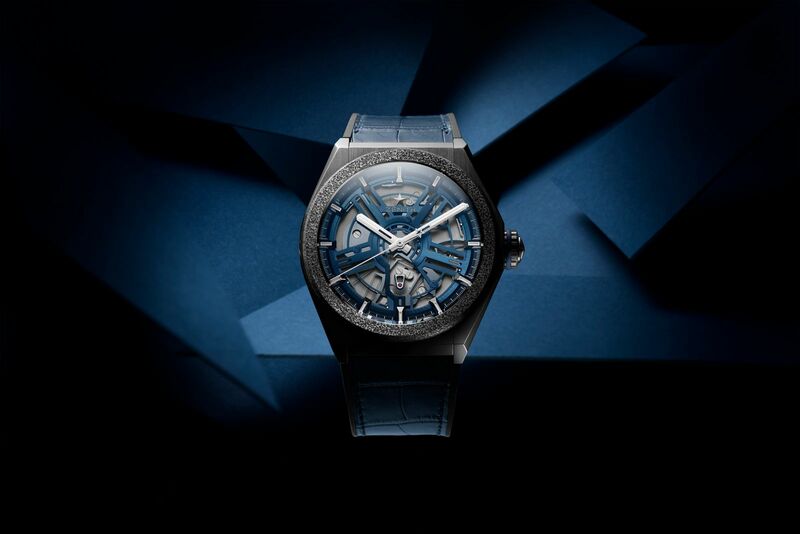 Aside from all the stuff I say about Zenith impressing everyone by actually getting the Defy LAB concept to market on time, there’s also the side of this watch that appeals on pure aesthetics. It’s Hublot strain bold, yet has lots of charming and considered nuances layered above the vibrating star of the show. Somebody commented on our Instagram that the ‘Batman’ on jubilee is like wearing dress shoes with jeans. I disagree. Though I would concur that wearing this watch with dress shoes and jeans would be a disaster. 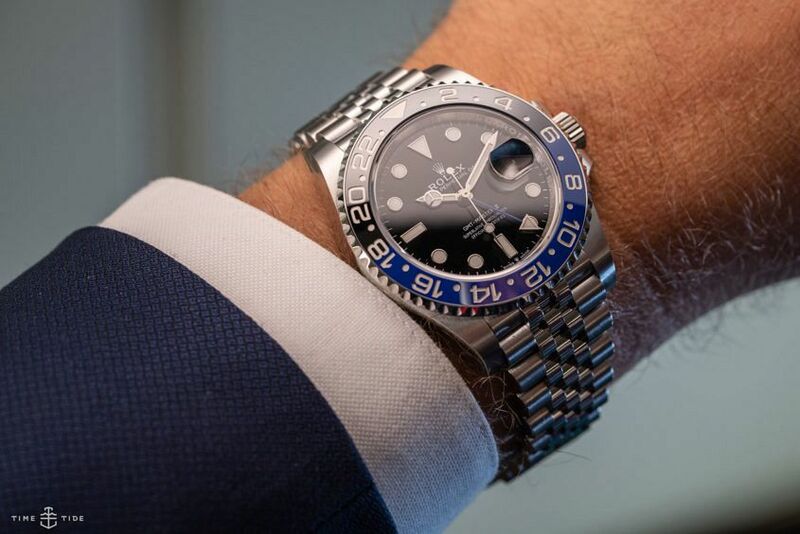 Given that I own the original BLNR, I can describe the feeling of seeing this unveiled as like seeing a picture of my wife, who I see every day in ath-leisure, in a ballgown. I liked it.